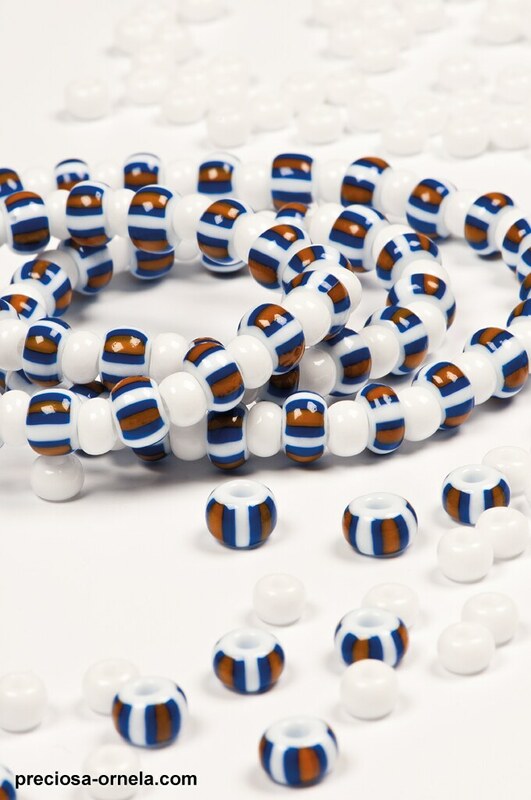 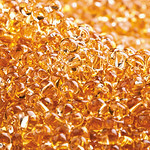 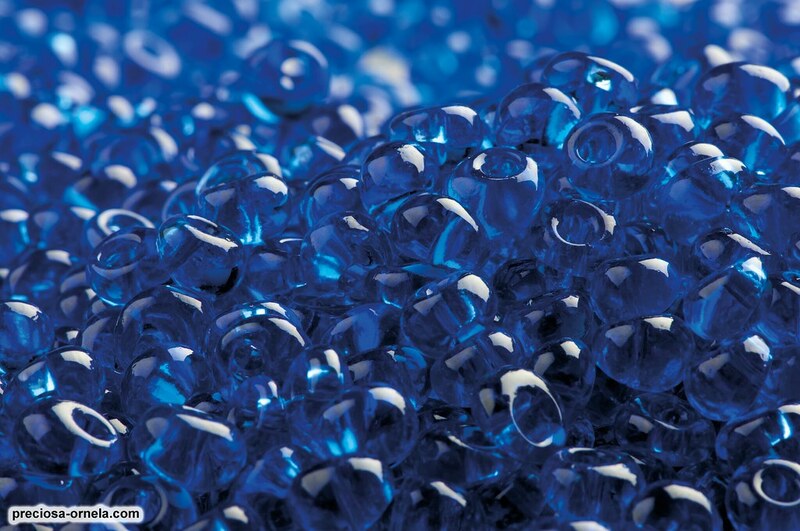 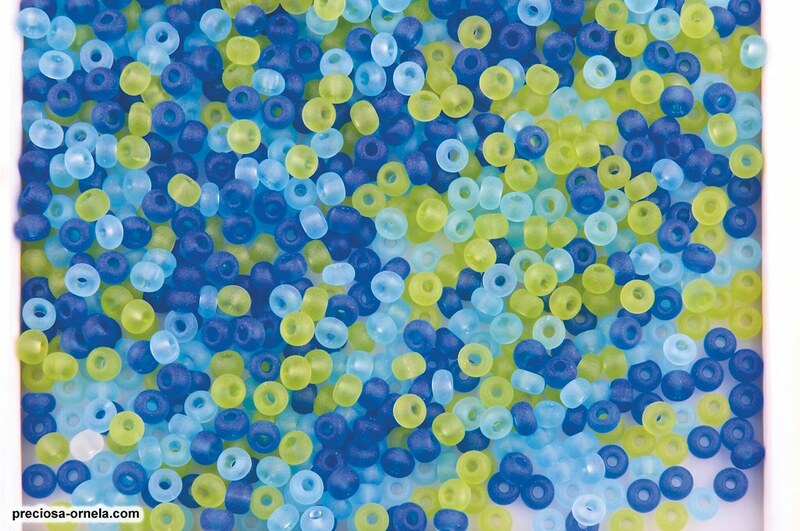 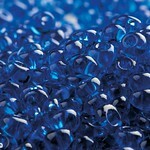 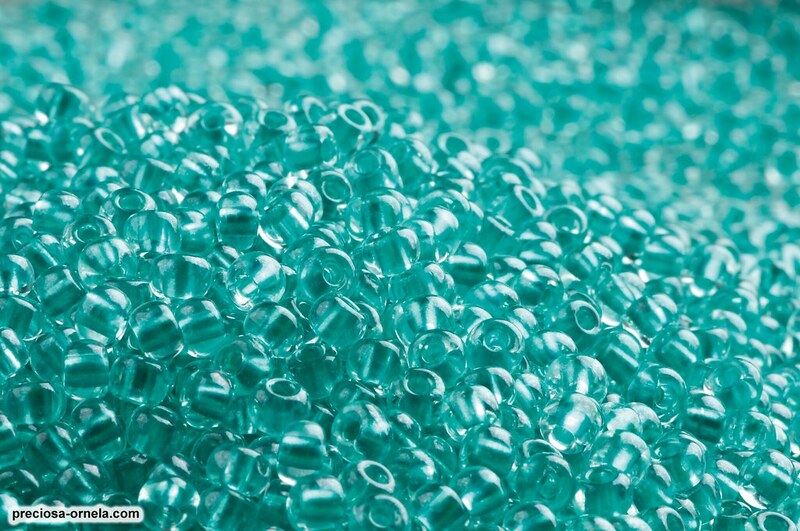 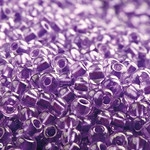 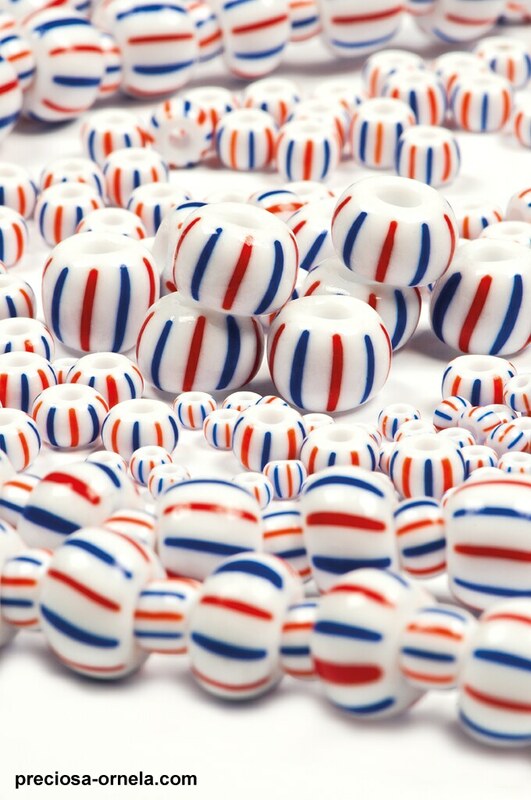 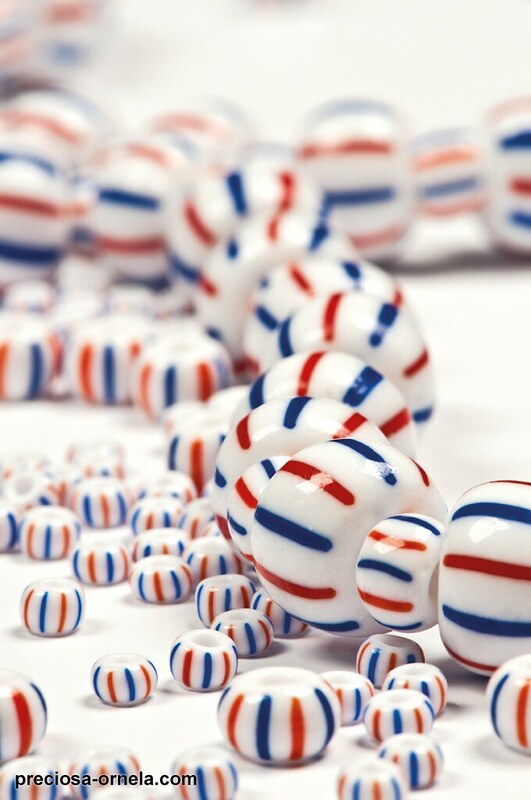 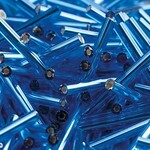 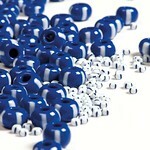 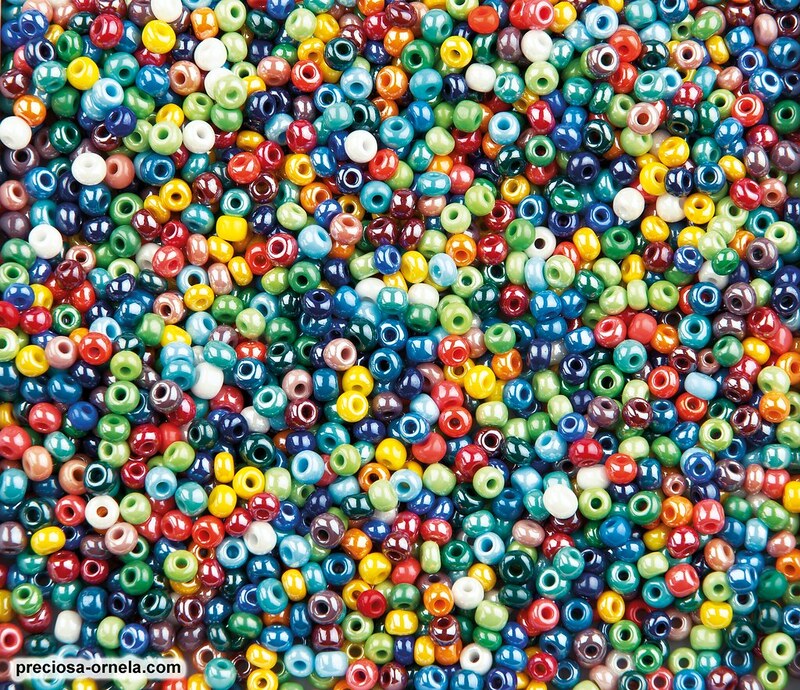 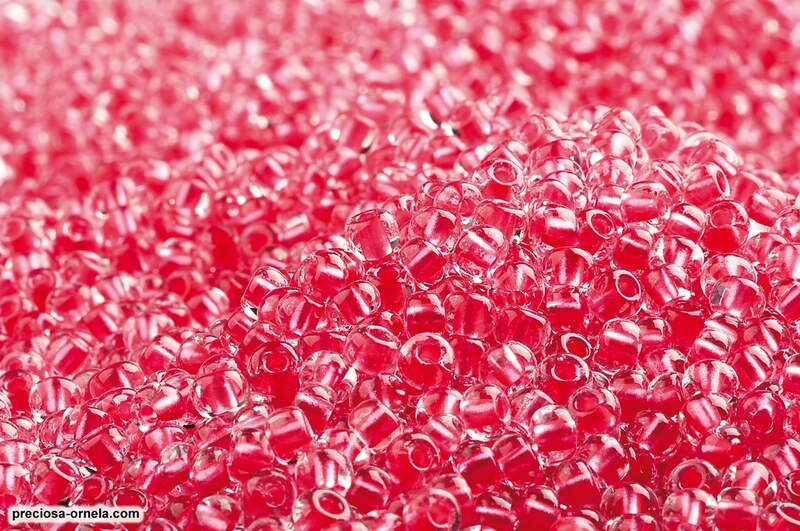 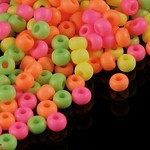 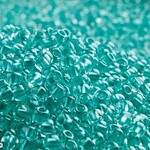 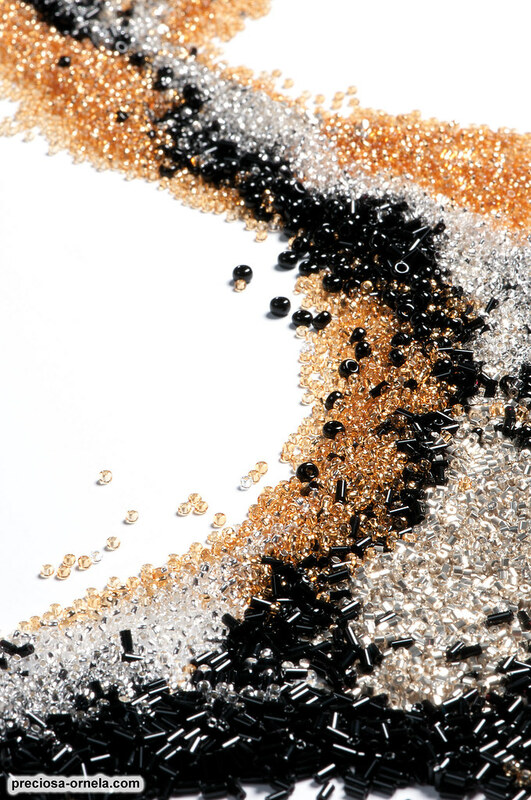 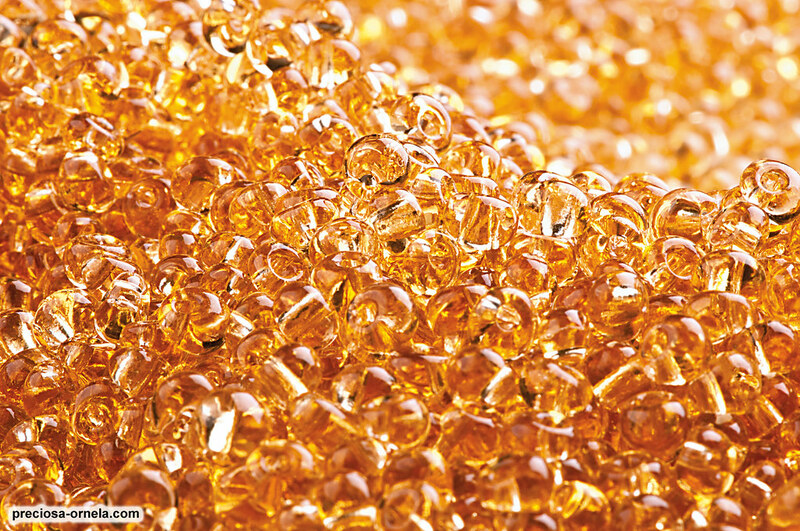 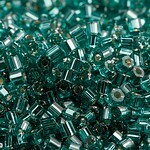 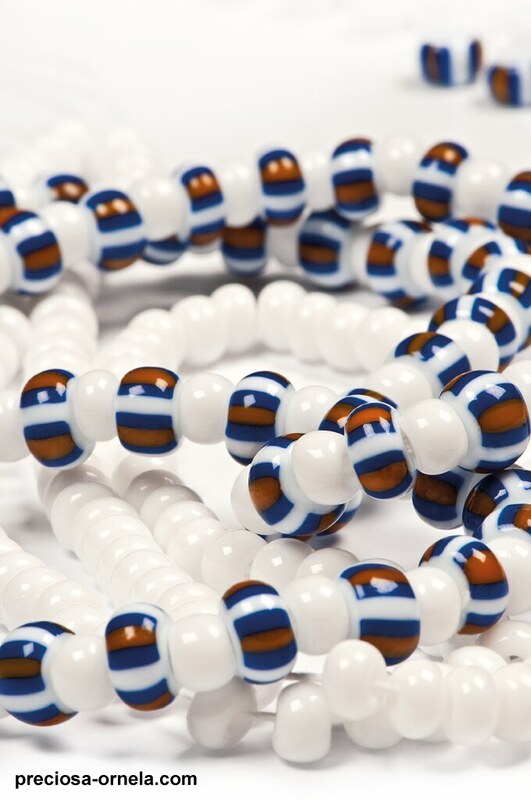 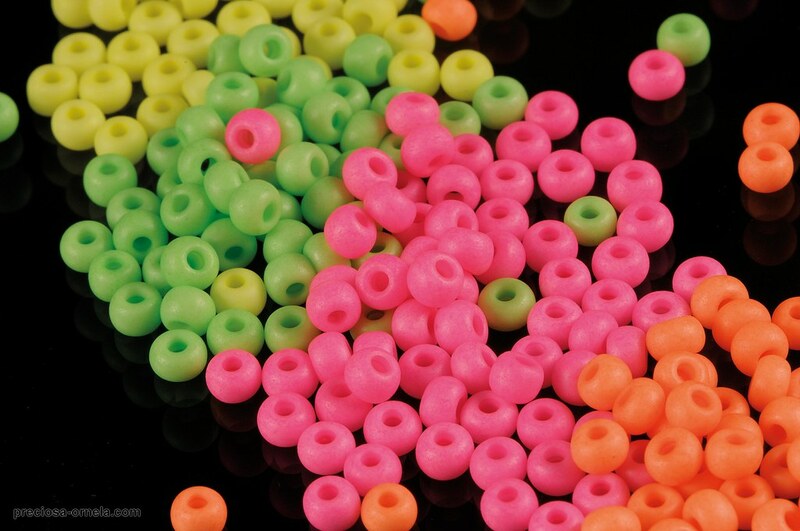 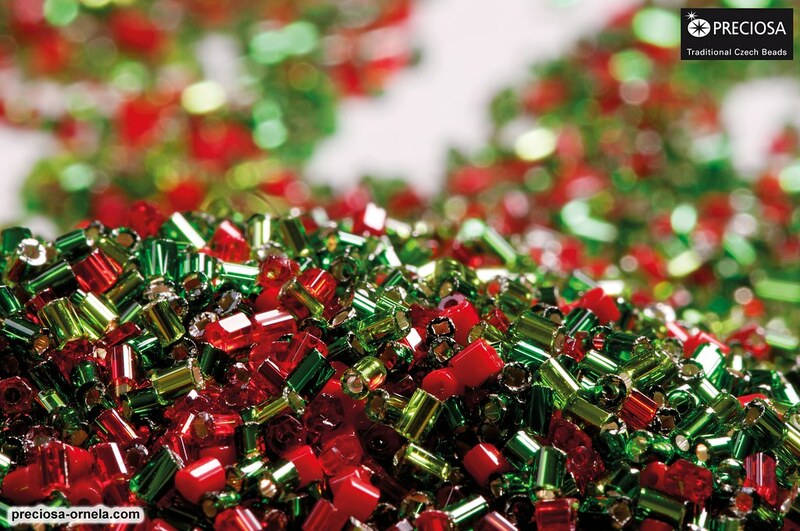 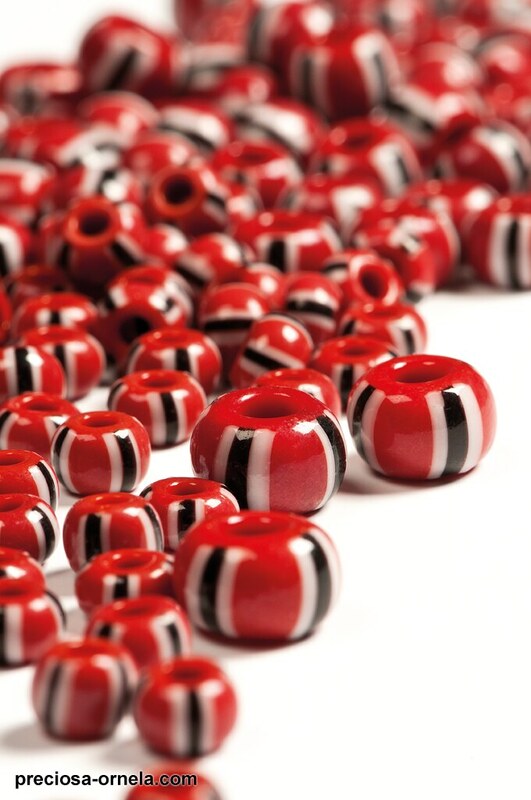 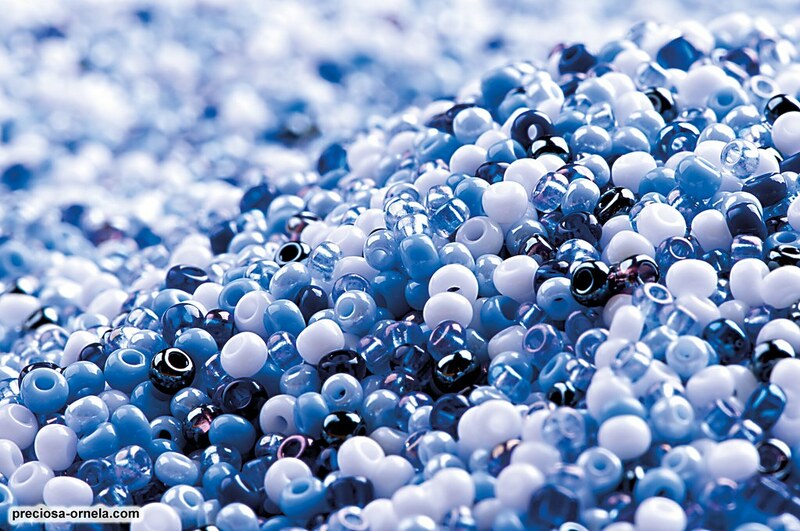 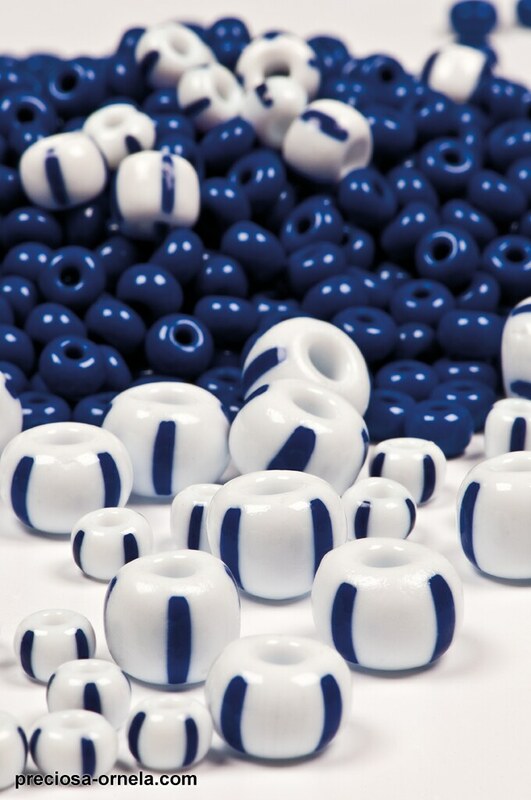 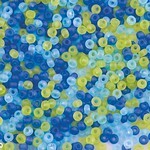 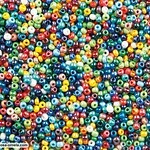 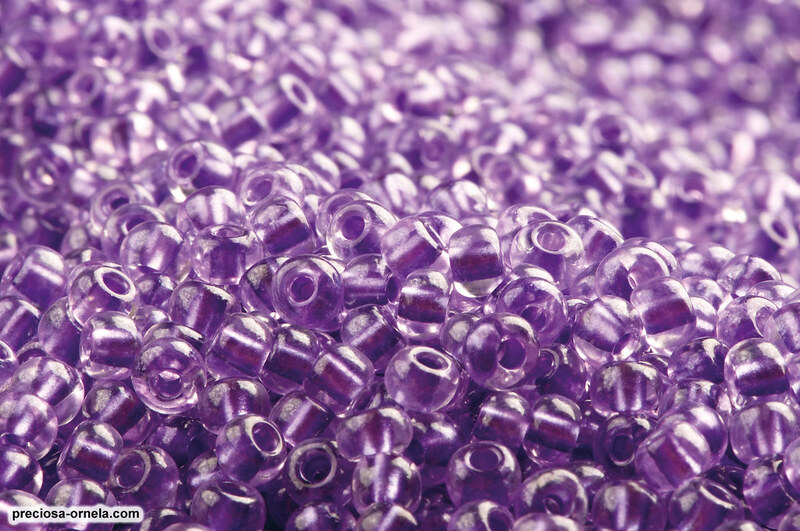 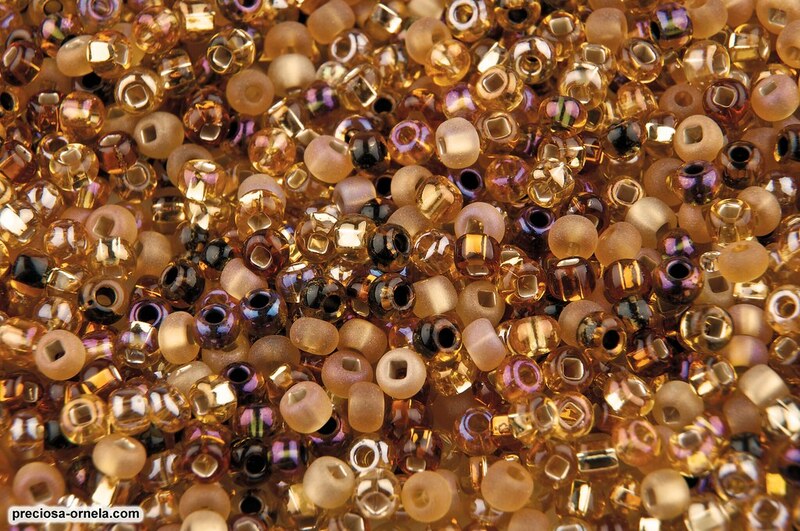 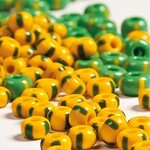 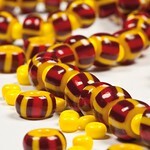 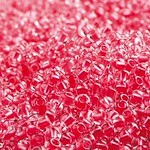 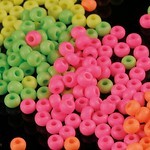 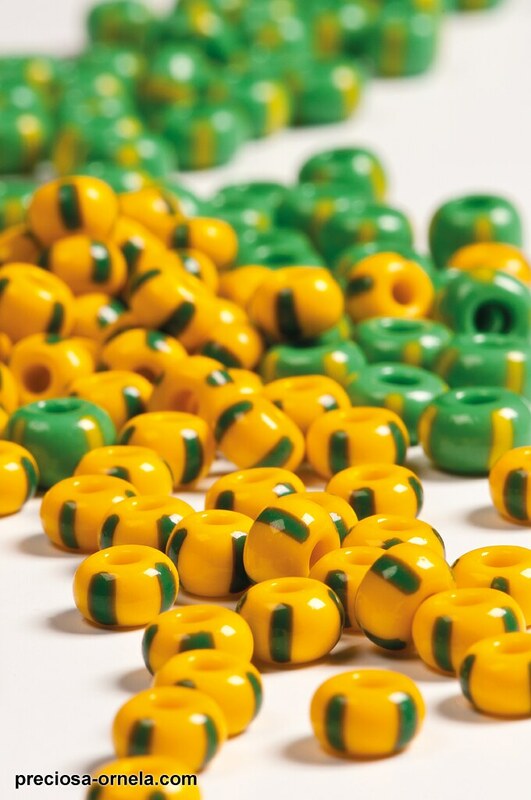 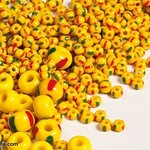 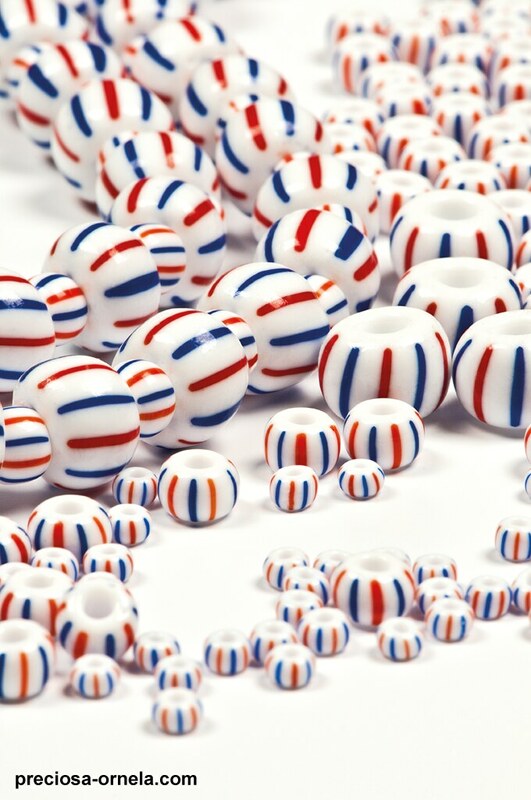 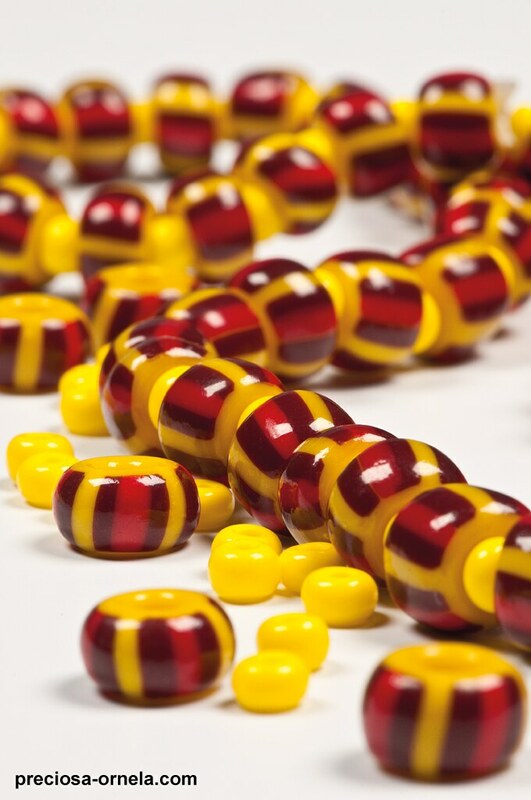 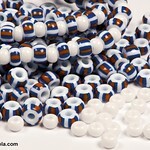 These round-shaped seed beads are manufactured using unique technology for cutting glass tubes with round or square holes into various sized pieces which are then rounded and polished when hot and subsequently classed by size and shape. 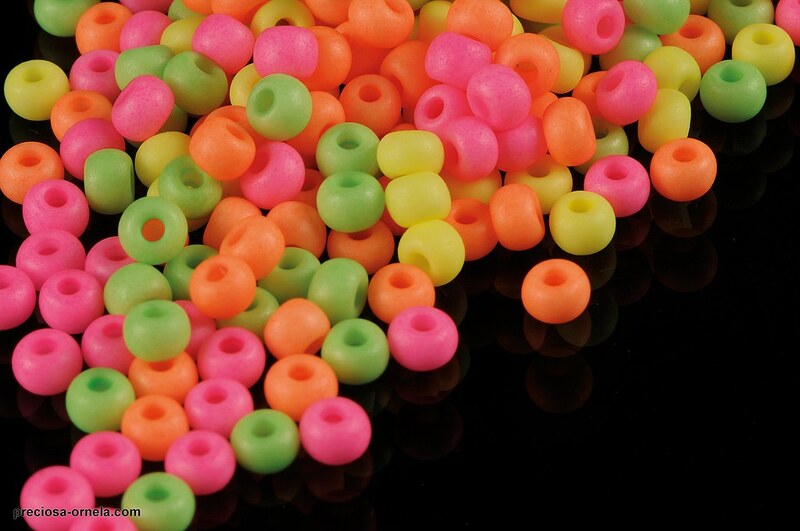 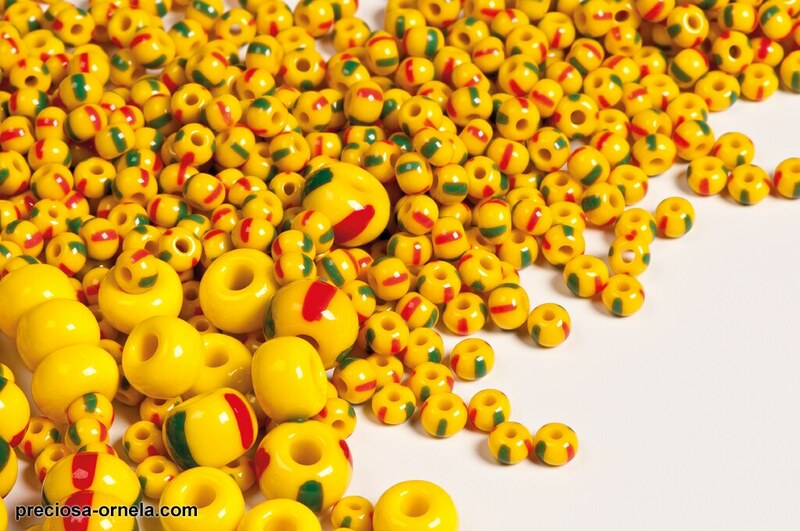 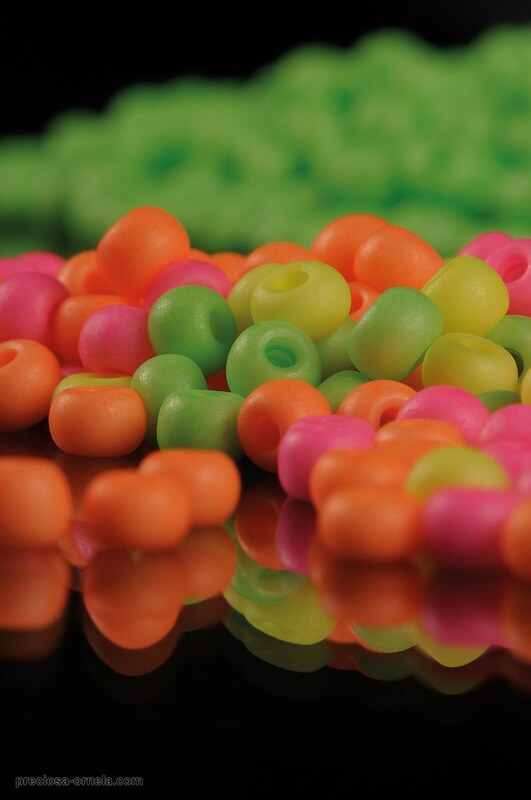 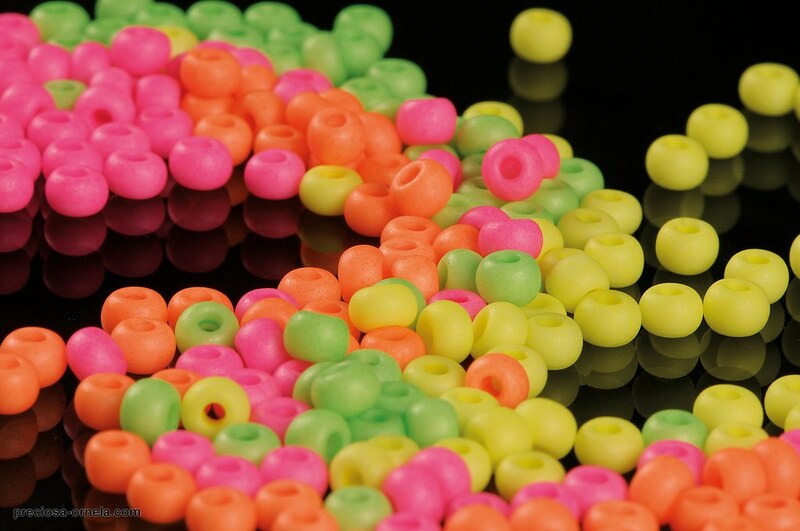 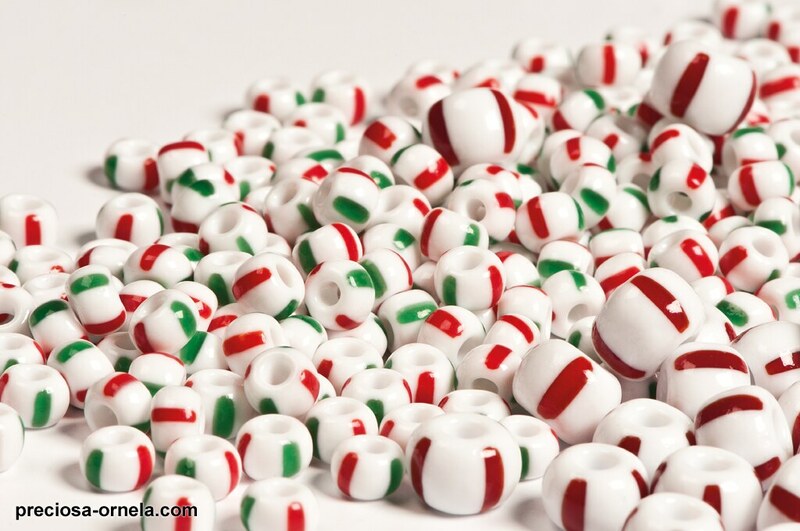 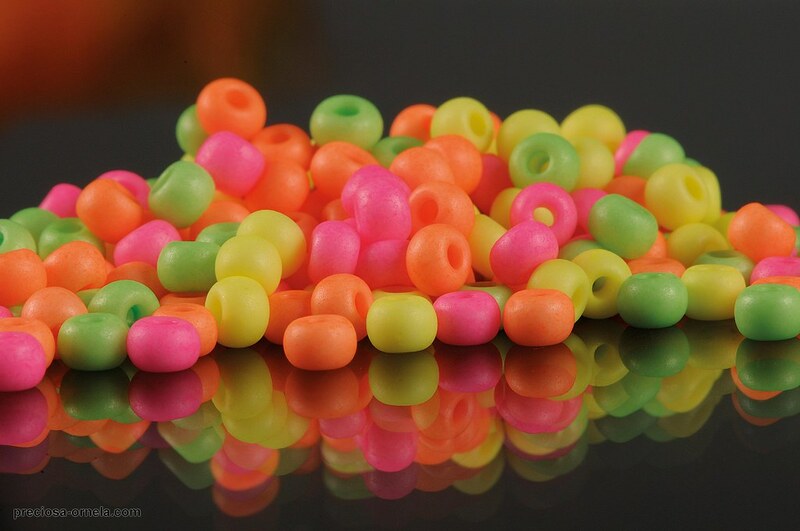 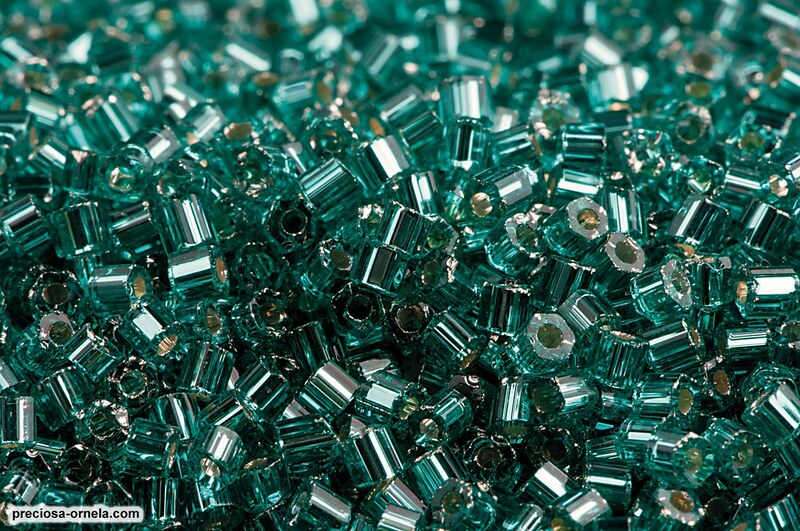 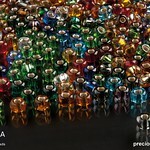 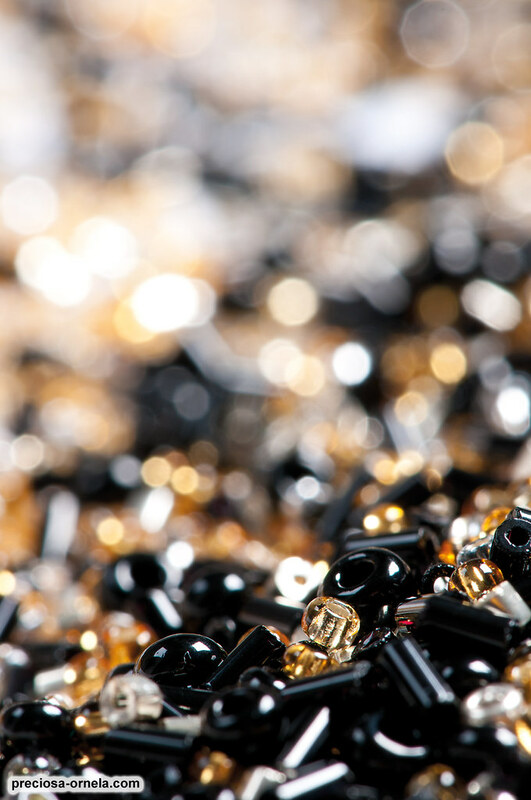 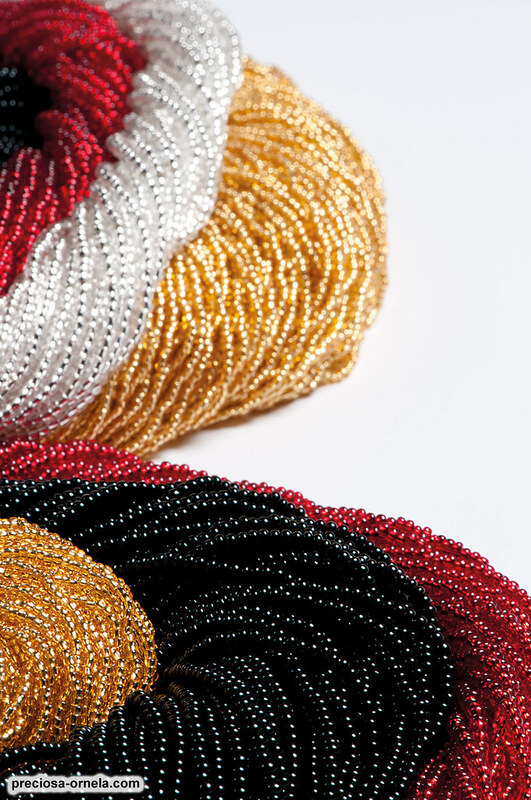 The PRECIOSA Rocailles are produced in sizes from 1.5 mm to 8 mm and the sizes of the Czech PRECIOSA seed beads are stated using the traditional so-called zero series. 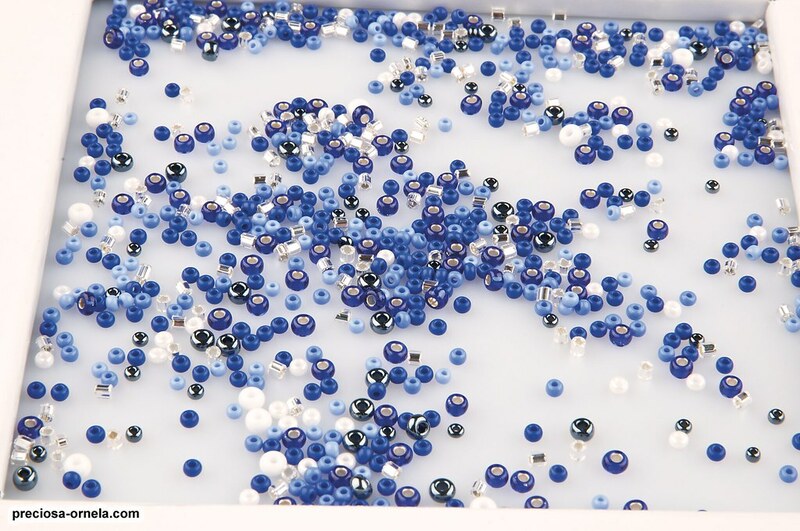 The regular sizes range from the smallest 16/0 through to the largest 1/0, while rarities also include the four large sizes of 31, 32, 33 and 34, known colloquially as potatoes. 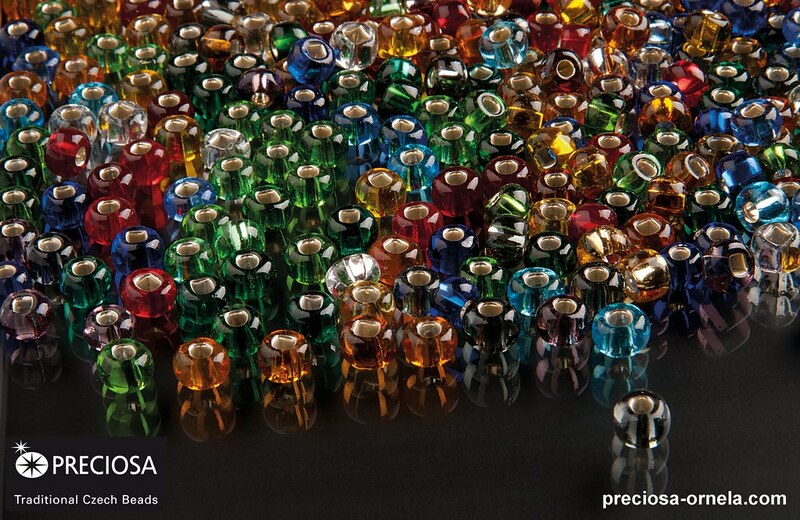 We divide the PRECIOSA Rocailles into so-called uncoated and coated rocailles according to the level of their subsequent finish. 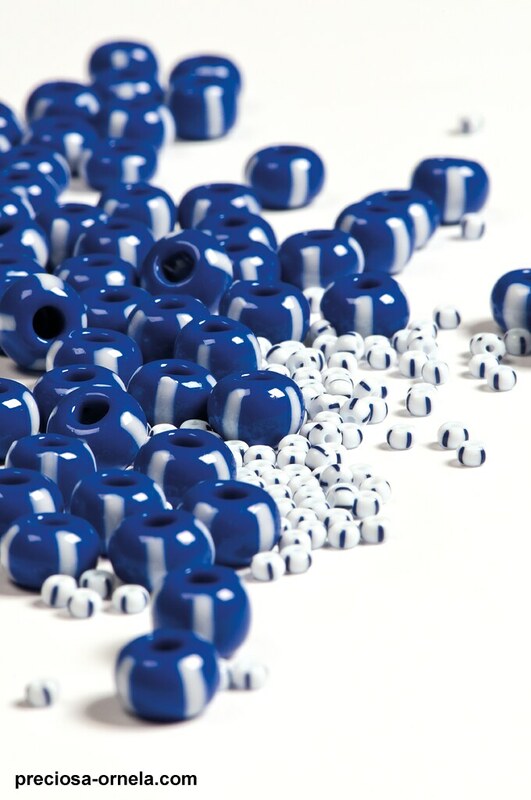 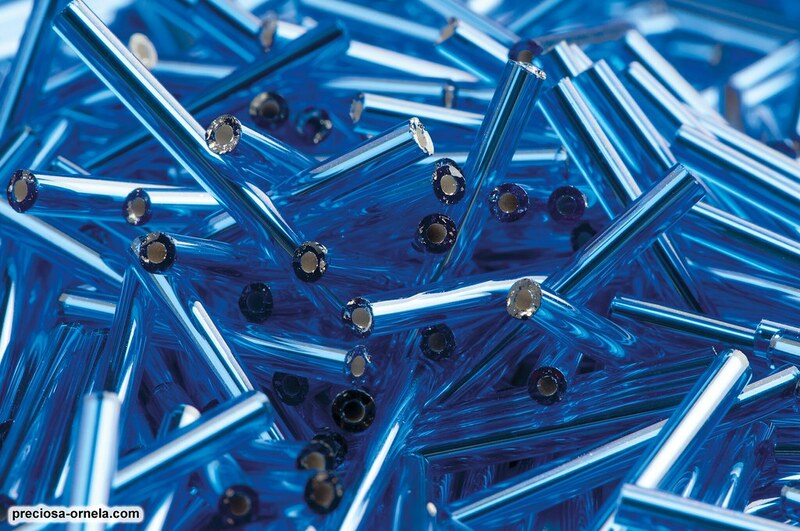 Whereas uncoated rocailles are left with the pure glass finish, a coated rocaille is given a further surface finish, for example colouring, galvanising or other types of decoration. 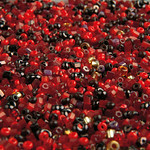 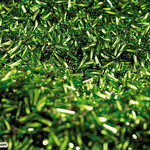 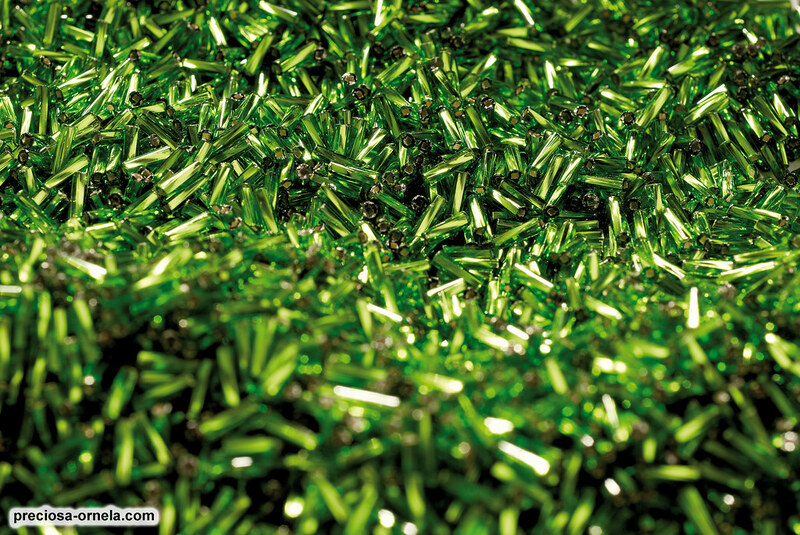 Cut PRECIOSA Rocailles are a special type of PRECIOSA seed bead on which 1-2 small facets are cut on a special cutting wheel. 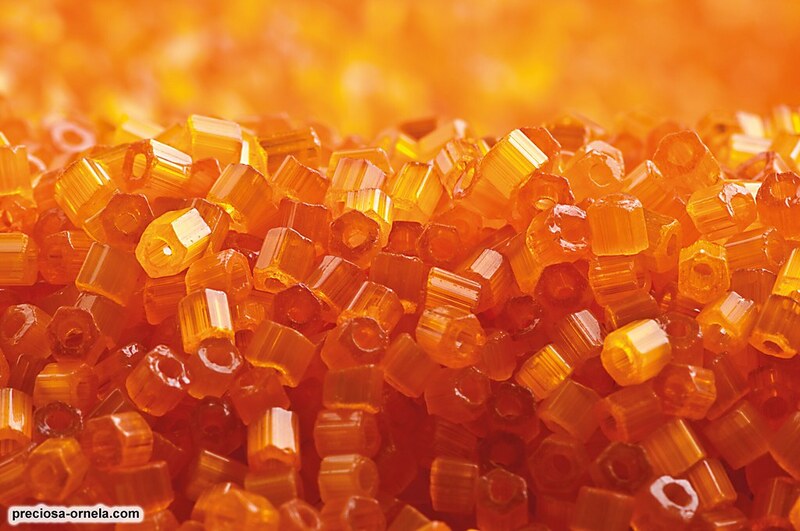 This makes the PRECIOSA Rocaille sparkle and it acquires exceptional optical properties in combination with some other surface finishes. 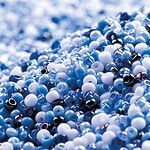 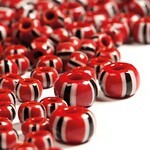 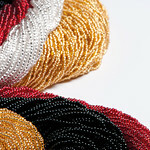 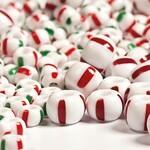 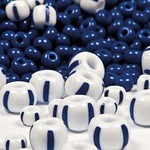 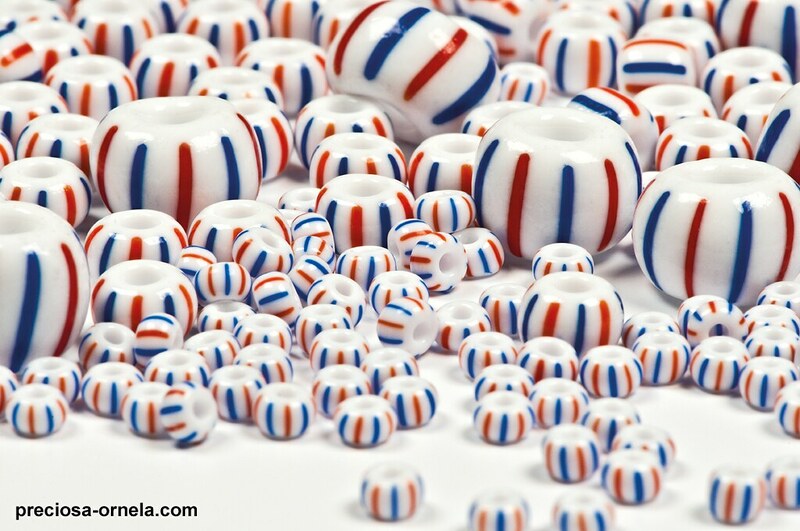 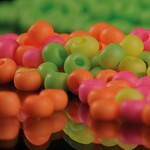 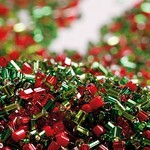 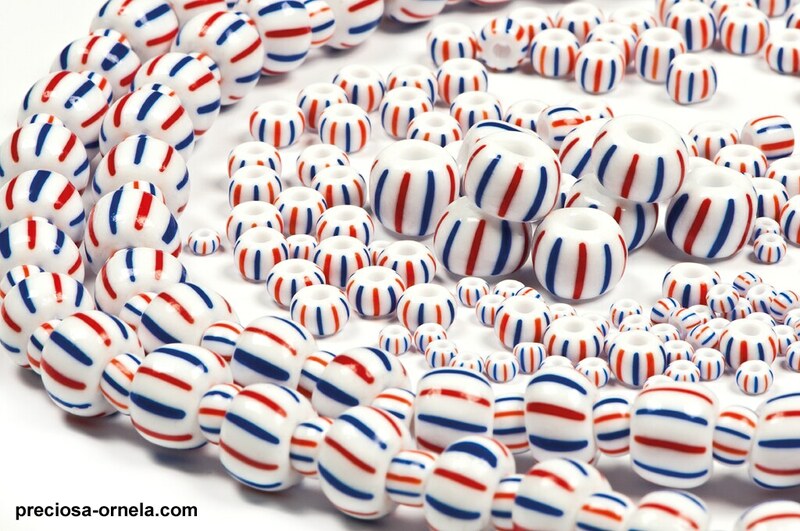 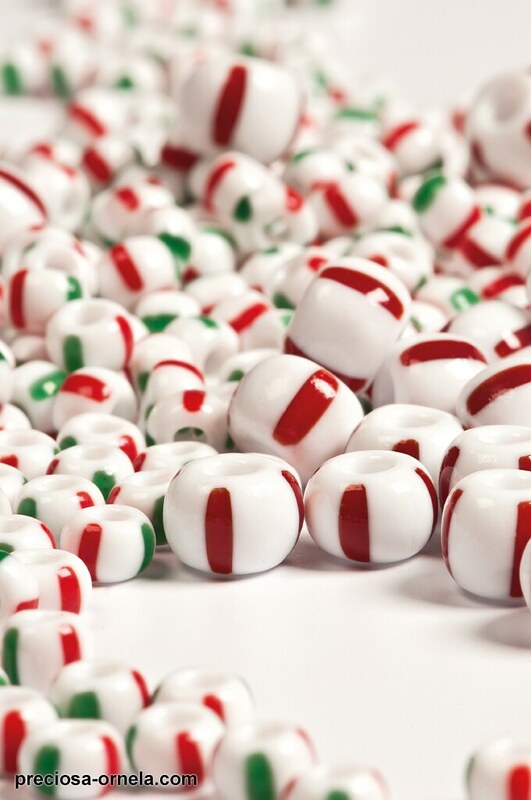 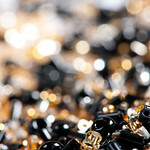 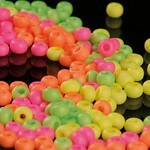 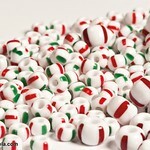 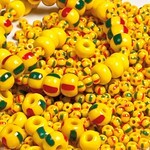 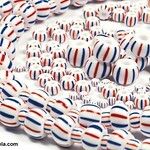 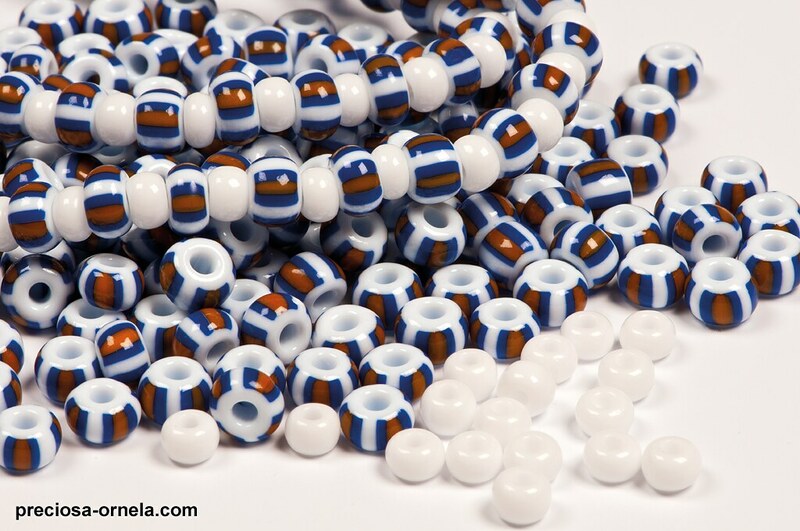 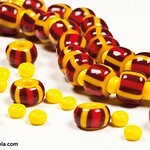 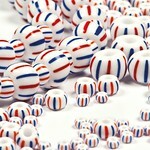 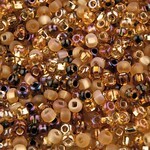 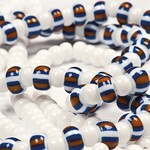 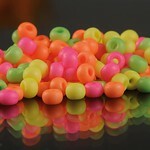 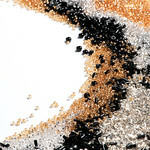 The most popular size of these cut PRECIOSA seed beads is the 13/0 size, traditionally known as Charlotte beads. 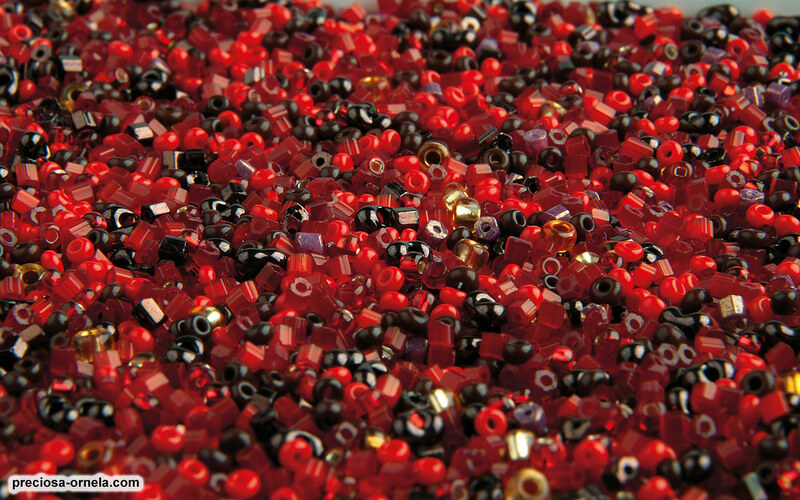 Czech PRECIOSA seed beads are often compared with other well-known Japanese seed beads (for example, the Miyuki brand). 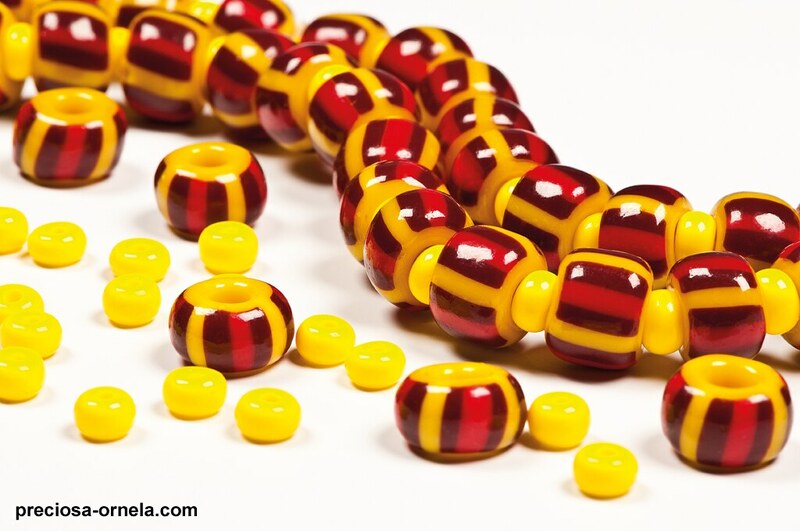 You will also come across them in many places throughout the world and in many contexts: in costume jewellery, hobby articles, Christmas decorations, clothing and shoe embroidery and appliqués and fashion and home accessories or in the most traditional of seed bead products, i.e. 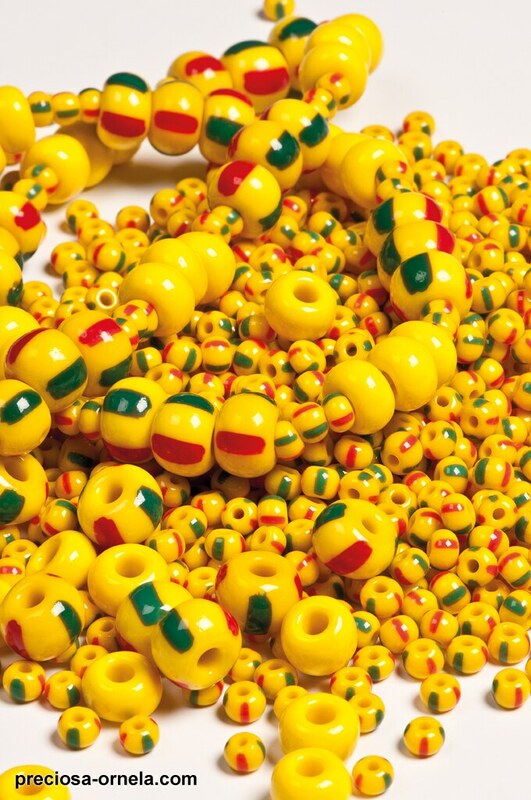 ethnic souvenirs made by the Indians of both Americas, African tribes or a number of Asian nations. 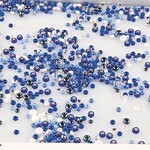 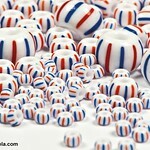 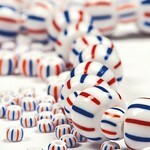 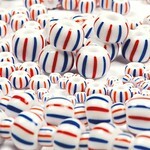 Newly we offer a 360 color variations SolGel, which are presented in a new four-page pearl color card. 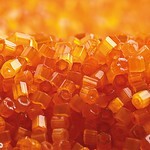 More information about SolGel here.